Alan Jackson: The Laodicean Hymn Singer! So that was my “very impromptu introduction” to Alan Jackson. 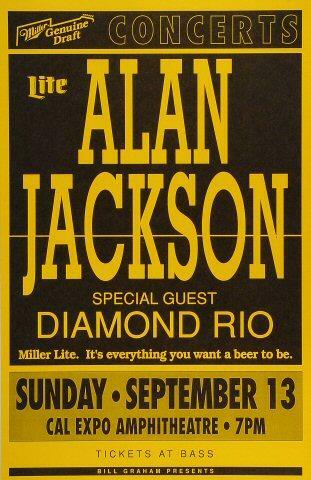 I mean, before that moment in time I had no idea Alan Jackson even existed. And I must say that his reverential “old time hymn” singing moved on me in a very special way. In fact as I looked to the related YouTube videos on the right I saw many more of my favorite hymns that Alan Jackson had recorded in that very same reverential spirit. It all seemed too good to be true. Could it be that I had finally found a country singer who had totally dedicated his voice to praising the Lord God Almighty? Well, it didn’t take me too awful long to get the answer to that one. Because as I continued playing through a half dozen or so of Alan Jackson’s “old time hymns” I came across a more recent song he recorded live at the Grand Ole Opry during the funeral service for George Jones. And the song Alan Jackson memorialized for all eternity during that “hallowed” service was one of George Jones’ 1980’s hits “He Stopped Loving Her Today”. Now there’s two (2) things for certain about Alan Jackson singing “He Stopped Loving Her Today” at George Jones’ funeral: God Almighty didn’t get the glory through it, and it was certainly a bad omen for someone headed to a place of everlasting existence (Heaven or Hell) that’s determined solely by their unwavering commitment (or lack of it) to serve Jesus Christ with their life! I mean, let’s get real! The Grand Ole Opry is a place where country music artist are worshiped for their talent, and the song was all about what helped make George Jones “the greatest country singer of his time”. In other words, the part of the funeral service conducted by Alan Jackson had everything to do with “the great” George Jones and nothing to do with “the Almighty” Lord God. 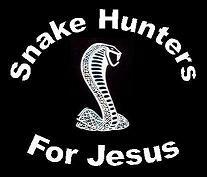 Well, things weren’t looking too good for my “Christian” country singer… and it only went downhill from there. Because what came up in my search shortly thereafter was Alan Jackson singing “honky tonk”… which Satan immediately used to try and re-ignite an old flame in me for that very same music. Not good! A “Brother” in Christ is suppose to encourage other Believers in their walk of holiness with Jesus, but certainly not encourage them to return to the Hell-bound ways of their un-God-ly past! Alan Jackson is an American country music artist. 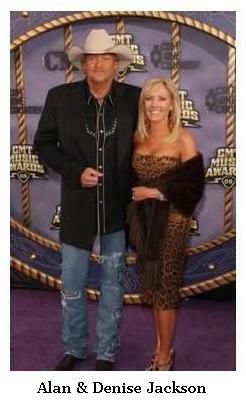 The first artist signed to Arista Nashville Records, he was with them from 1989 to 2011. He has released fourteen studio albums, two Christmas albums, seven compilations, and a tribute album for the label. His first two greatest hits albums (1995's The Greatest Hits Collection and 2003's Greatest Hits Volume II) as well as his 1992 studio album A Lot About Livin' (And a Little 'bout Love) are all his highest-certified albums, each certified 6× Platinum by the Recording Industry Association of America, with sales in the US of over six million. He has sold over 40 million albums in the US since 1991 when Nielsen SoundScan began tracking sales for Billboard. In addition to releasing country albums, in 2006, he released Precious Memories, an album composed of christian music as well as gospel music. The album was a commercial success, charting to number one on the Top Country Albums and the Top Christian Albums music charts. It is one of several Platinum-selling albums for Jackson. Now, that little short article was exactly what I needed to bring this thing about “Christian” Alan Jackson into a proper perspective. I mean there’s no doubting the fact that Alan Jackson can sing. And whatever he sings seems to turn into a “commercial success”… whether it’s “honky tonk” music (“A Lot About Livin' (And a Little 'bout Love)”), “Christian” music (“Precious Memories”), or anything in between. In fact it was in April of 2008 that his album sales crossed over the fifty (50) million mark. 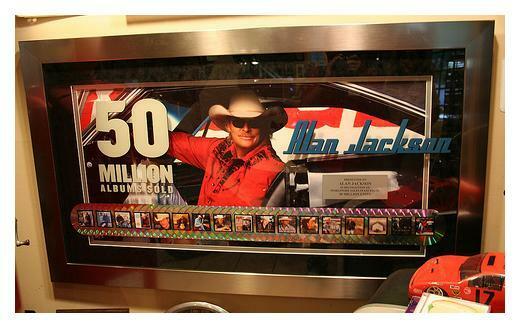 So, nineteen (19) years of recording proved to be extremely lucrative ($$$) for Alan Jackson. And if fifty (50) million album sales weren’t enough already, it was in 2012, only four (4) years later, that he broke the sixty (60) million album sales mark. 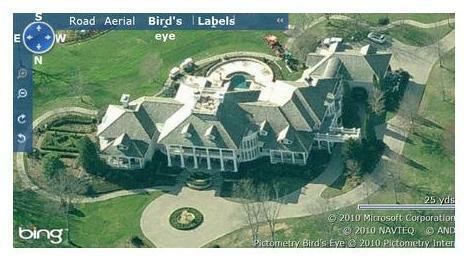 So just what was Alan Jackson doing with all this wealth? Well, it was in much the same spirit of his very successful third album – “A Lot About Livin' (And a Little 'bout Love)” – that Alan Jackson started “livin it up” through his album sales. 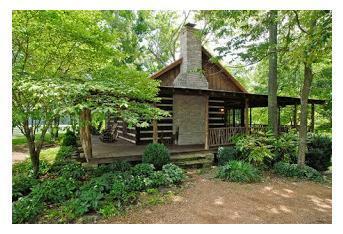 In fact it was only a few days after his third album #1 song – “Chattahoochee” – won the Country Music Association's 1993 award for single of the year that Alan Jackson bought the 135-acre plot of land that would be used to create the “Sweetbriar” plantation estate of his dreams. So with the land purchase in place, a lavish two-bedroom log cabin was constructed to keep Alan Jackson and family cozy for twenty-three (23) months until the 19,000-square-foot house (26,500 including the porches) with it’s three (3) story, six (6) bedrooms, seven (7) bathrooms, five (5) fire places, marble floors, game room with bar, and home theater room could be completed. 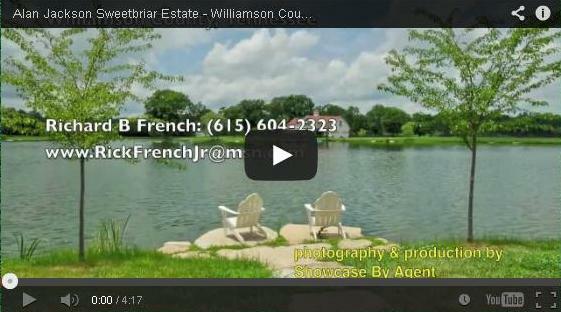 And to go along with all that, we must not forget to mention the twenty (20) car garage, in-ground swimming pool, tennis court, gymnasium, horse stables, three (3) ponds, a landing strip, and the lake that floats the boathouse along with it’s boats. 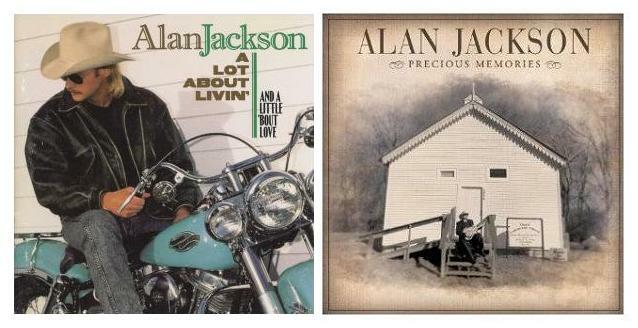 But then again we must not fail to mention Alan Jackson’s exotic car collection, along with his 1958 “Panhead” Harley Davidson pictured on the “A Lot About Livin' (And a Little 'bout Love)” album cover, that likewise necessitated his twenty (20) car garage in the first place. Well, it goes without saying that all this afore mentioned “stuff” is what makes life worth living for Alan Jackson. And, of course, it’s this same spirit that’s attached to his 1992 album – “A Lot About Livin' (And a Little 'bout Love)” – that’s sold more than six (6) million copies and continues to influence the masses around the world day by day. So why do you think Alan Jackson decide to record his “Precious Memories” album of “old time hymns” after having focused on “honky tonk” for so many years? Well, according to Wikipedia, Alan Jackson was raised in a Christian home, attended a Christian church, and likewise solely focused on singing the “old time hymns” until that point in time when he was introduced to the country music that would put him on the road to stardom. And it was many years later that his mother requested he record some of those “old time hymns” that were so much a part of his early life that would likewise became a part of his “Precious Memories” album. Alan Jackson – the Laodicean hymn singer – is a seventeen (17) time Academy of Country Music winner, and two (2) time Grammy winner, who has been honored with a star on the Hollywood Walk of Fame, and inducted into both the Georgia Music Hall of Fame and the Nashville Songwriters Hall of Fame, for the “love of mammon” and the “glory of Satan”. It’s like he’s singing in the church on Sunday, and in Nashville, Hollywood, and Vegas the rest of the week. Alan Jackson, the Laodicean hymn singer! What a wonderful “Christian” role model is he! Is it any wonder that the young people fail? Alan Jackson – the Laodicean hymn singer – is in seriously critical condition! But it’s not too late for him to repent and fully recover… that is if he will only give it all up for Jesus! So what’s Alan Jackson going to do? Will he forsake his very lucrative country music career and take up his cross and follow Jesus… or will he continue on his Hell-bound path of gaining more “stuff” for his very short-lived earthly pleasure? God has called Alan Jackson to sell all he has, and give to the poor, in order to lose his life and become a “singing evangelist” for Jesus’ sake and the gospel. But the question is, will he do it? As of the time of the writing of this sermonet, Alan Jackson will be appearing in concert in exactly three (3) months and one (1) day at the Don Haskin Center in El Paso, Texas. There will be approximately 21,000 people to shell out anywhere from $87 to $688 per ticket in order to worship this god of country music… and the Lord God Almighty is in no way pleased! So there you have it! “Laodicean” Alan Jackson is in big time trouble with God… and he’s about ready to get “spewed”… but do you really think he’s going to change? Life on this earth is but a very short existence… and then comes the place of everlasting reality called Heaven or Hell. “Worldly” Christians will not inherit “everlasting life” in “the Kingdom of God”.